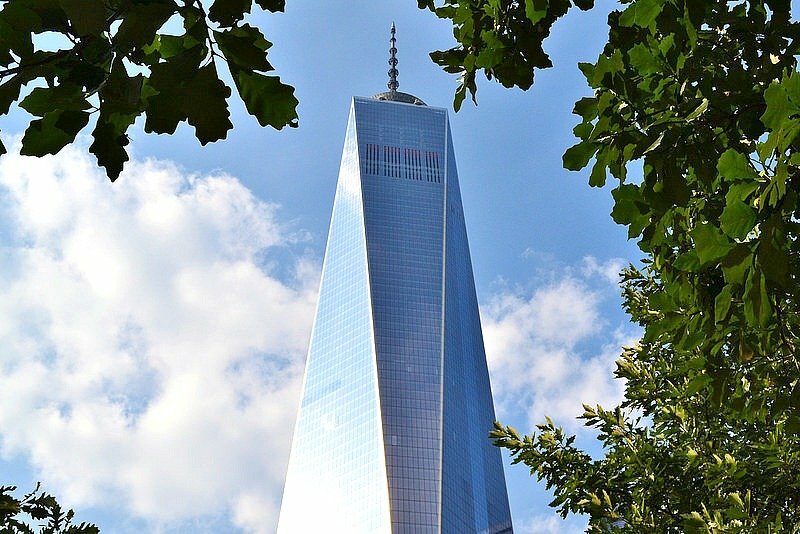 More than nine years after ground broke at One World Trade Center, the tower’s first and largest tenant, Condé Nast, is moving in. Though the media company will not complete its move until January, the relocation actually began last weekend when 2,800 orange crates full of files, photos, and books were carted downtown from the media company’s Times Square office. Today, 175 employees will start their days at One WTC, the first wave of the 3,400 employees at 18 magazines. And as the New York Times notes, the scene they’re encountering is much different than when construction began nearly a decade ago. As the number of financial institutions has declined, tech firms, advertising agencies, and media companies have made the Financial District their new home, along with a residential population of 61,000. Condé Nast will occupy floors 20 through 44 of the 104-story tower, a total of 1.2 million square feet. Vogue editor Anna Wintour will take up residency on the 25th floor, while Vanity Fair editor Graydon Carter will be on the 41st floor. The offices won’t be as flashy as they were in Times Square where Frank Gehry designed the famed cafeteria and head editors were given big budgets to hire architects to design their offices. In their new home, the company is focusing on the views and open space. The Port Authority of New York and New Jersey is planning a celebratory event to mark the big move for later in the month following the fall elections.